A large widespread village of around 900 dwellings being located about three miles to the north of Clacton Town centre and bordering the villages of Weeley Heath and Thorpe Le Soken. Some properties are within walking distance of the mainline station at Thorpe and there is good road links to the A133. There are some listed buildings and period properties but predominantly the main housing was developed in the inter-war and post war periods. 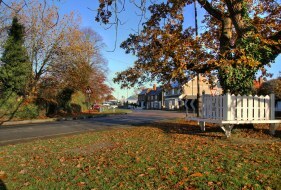 There is a small tree lined green at the centre of the village with a couple of local shops, public house and a primary school.